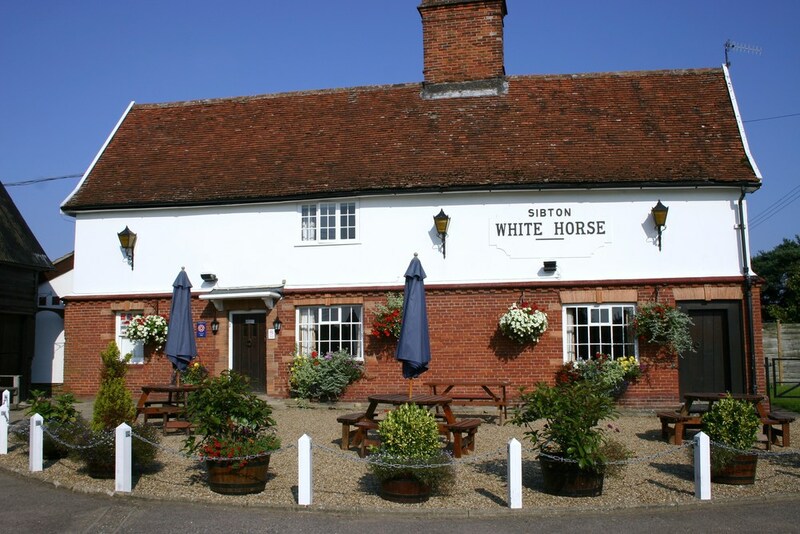 The Sibton White Horse is a pub that you are unlikely ever to stumble across or pass en-route to another destination. Although literally only a couple of minutes from the main A1120 by Peasenhall it sits in a tranquil backwater of Suffolk, perfect for peace and quiet, perfect for crystal clear night skies but not ideal for passing trade. So how, when success for many in the hospitality trade seems to rely on a busy location, has the Sibton White Horse succeeded in regularly tempting diners off the more beaten track? Neil and Gill Mason, owners of the White Horse, moved to Sibton eight years ago with a very clear vision and a desire to create great food. In that time they have turned their village pub into an award winning destination for food lovers – they have been voted ‘Suffolk dining pub of the year’ three times - and, to their credit, have also retained the pubs position as the traditional relaxed village local where you are just as welcome to sit by the bar and have a pint - a quality I have found that many pubs with gastronomic ambitions tend to lose sight of. It is also a pub for grown-ups, while they are child friendly only children over the age of six are permitted in the evening and this for many is a definite draw. When we arrived, early on a Saturday evening, there was already a good gathering of customers. Some like us, purely visiting to dine, others were guests staying in the pubs four star accommodation and as already mentioned a number of locals who were just enjoying a spring evening pint. As I had been relieved of driving duties for the evening a visit to the bar was also my first stop. As a genuine free house Neil and Gill have an ever changing selection of ales alongside regular favourites. On this occasion, after Neil had enticed me with a small sample, I opted for a pint of ‘Trawlerboys’ from the Lowestoft Green Jack brewery. I would highly recommend trying it yourself if you ever find it a choice. The pub has three main dining areas, the bar, the raised gallery and the dining room, also as the weather improves, a pretty covered courtyard which is very popular in the summer months with regular barbecues. We were shown to our table in the gallery with a window that overlooks the pubs impressive kitchen garden and chickens – a constant source of delicious fresh eggs which we always buy when we visit. While it may be en-vogue to talk about provenance and food miles Neil and Gill can confidently boast about their offering in terms of food yards! In the evening the pub offers an a la carte menu devised by head chef James Finch with daily specials chalked on boards above the fireplace. James has been at the White Horse for four years initially as sous chef and for the last two as head chef. A Suffolk lad he has a passion for local ingredients and the skill to turn them in to great dishes. My wife’s choice of starter reflected both seasonality and locality opting for the ‘Soup of the moment’ which was, on that evening, cream of asparagus . The true asparagus season is so short that is seems a shame not to take advantage whenever possible and the result was delicious. I chose the smoked mackerel pate with Melba toast, radish & cucumber salad and wholegrain mustard dressing. The flavour of the pate was beautifully balanced and the texture both smooth and light. What was also noticeable on this dish, and then on subsequent dishes was the attention paid to presentation. Without being fussy in anyway, or detracting from the ever generous portions, it has definitely improved on what were already high standards. For our mains I went for roasted breast of Suffolk chicken, dauphinoise potato, local asparagus, roasted carrots tarragon and Madeira cream with Lesley choosing one from the specials board; a mille feuille with wild mushroom with roasted cherry tomatoes baby onions and a whole grain mustard cream sauce. Lesley is not a vegetarian but such was the attractiveness of one being served to another table, as we made our selections, her decision was an easy one and she was delighted with her choice. The puff pastry was light, the mushrooms packed with flavour and the cream sauce delicious. James has a penchant for cream in his dishes and while regular consumption may not be kind on the waste-line you will never be without a satisfied smile. My dish was superb. Without hesitation I would say that the chicken breast was the best I have ever eaten. It was cooked to perfection, both moist and tender and intensely tasted of – well – chicken; as top quality chicken should but sadly so many times doesn’t. The roasted carrots had depth, the dauphinoise was a delight, and the asparagus glistening, unadulterated and delicious all tied together with the delicate tarragon and Madeira cream. There is a saying that you should stop while you are ahead and such was the splendour of my main course that I nearly did. We had enjoyed a superb meal and I really didn’t need another morsel, however, in the same way that Lesley had been tempted into her main by seeing a dish heading to another table so I was drawn to my desert, an individual dark chocolate tart with peanut butter ice cream and chocolate crumble. I’m glad that I did because it was fantastic – rich, dark and intense without a soggy bottom in sight. I have to admit that it did ultimately defeat me as one portion, even on another day, could easily have served two. Generous as always. The dishes at the White Horse may be a pound or two more than you may pay at other pubs, but this is not ‘pub grub’. It is equal in quality to any you would find in a good restaurant and value is packed into every penny and it is for this reason that in my opinion the White Horse has and will continue to be a destination for food lovers.